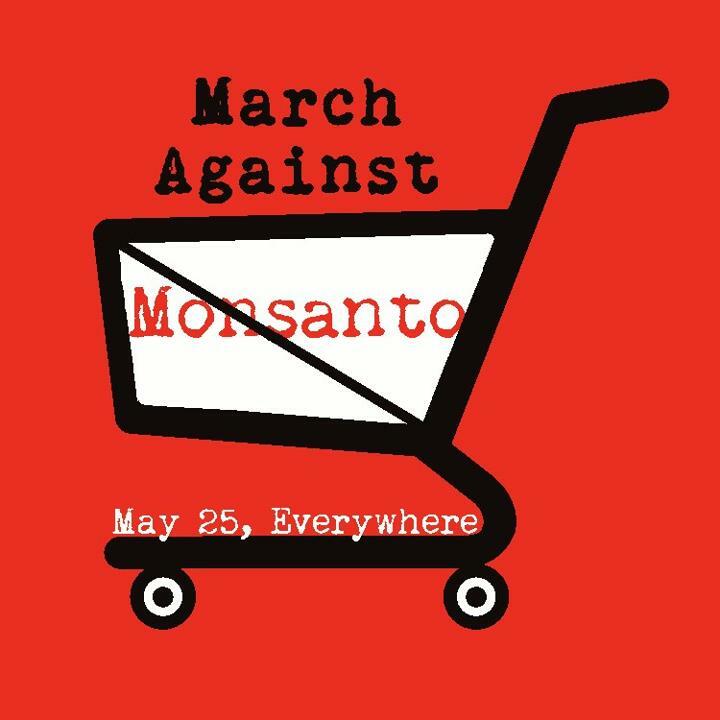 Visit Occupy Monsanto for a march near you! - Research studies have shown that Monsanto’s genetically-modified foods can lead to serious health conditions such as the development of cancer tumors, infertility and birth defects. - In the United States, the FDA, the agency tasked with ensuring food safety for the population, is steered by ex-Monsanto executives, and we feel that’s a questionable conflict of interests and explains the lack of government-lead research on the long-term effects of GMO products. - Recently, the U.S. Congress and president collectively passed the nicknamed “Monsanto Protection Act” that, among other things, bans courts from halting the sale of Monsanto’s genetically-modified seeds. - For too long, Monsanto has been the benefactor of corporate subsidies and political favoritism. Organic and small farmers suffer losses while Monsanto continues to forge its monopoly over the world’s food supply, including exclusive patenting rights over seeds and genetic makeup. - Monsanto’s GMO seeds are harmful to the environment; for example, scientists have indicated they have caused colony collapse among the world’s bee population. While not the only company producing GMOs, Monsanto was the first, and has become the poster child of a science and industry gone corrupt and power hungry. In just one example, the company has managed to make it illegal for farmers to save Monsanto-created seeds for planting the following year, a practice as old as farming itself. Instead, farmers must purchase new seeds every year, and often face lawsuits if they break this rule. What's worse is that there is a lack of long-term studies on Monsanto GMO-products, partially because of government protection of the company, but also because many of their products are relatively new. Our understanding of the effects of GMOs on the environment and on humans is limited to say the least. 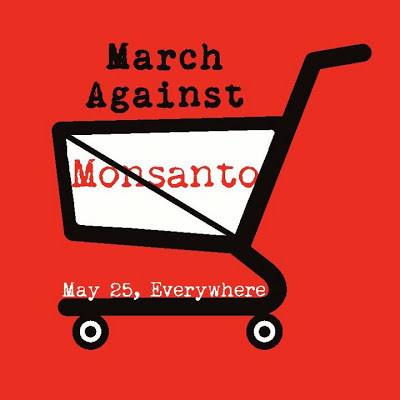 According to a recent report in Alternet, at least 60 countries around the world have banned the genetically-modified foods and products of Monsanto. They then list 5 damning reasons why people should support the protests: Monsanto is a chemical company posing as an agribusiness; they are pursuing a monopoly and putting farmers out of business; the company is seeking control of the food supply and the privatization of water; they are basically running the US Federal Department of Agriculture; they are involved in a growing number of environmental controversies. Check out the article for some fairly convincing support of these arguments. The industry (and US government) line on GMOs is basically that they are improving agricultural yields by simply expanding on what farmers have been doing for centuries, that is, selectively modifying organisms and plants to create ones that are more desirable and productive. While in some ways this is true, in reality, the altering and shaping of plants and other organisms at a genetic level is novel in our history, and only occurred for the first time in the early 1980s. Since then, supporters have sung the praises of these newly developed GMO products, even though their evaluation and study lacked the depth of time necessary to understand their impact on the environment and humans. A 2010 article by Glenn Davis Stone, the Anthropology of Genetically Modified Crops, offers a succinct review of the many issues surrounding GMOs, and the many questions that have risen out of the controversy over the years. Stone explains the political economy of GMOs, how companies like Monsanto are expanding corporate control over food production and food supplies on a global level, and how GMOs are a means by which profit, power, and control are linked for the benefit of the few. Stone also reviews the many reactions and forms of resistance to GMOs around the globe, from European hostility to Asian acceptance, and from religious symbolism to concepts of unnaturalness. And while these reactions are shown to be far from uniform, what becomes clear is that GMOs have been controversial from the time of their conception. Stone's article also includes a lengthy section on the impacts of GMOs on small-scale farmers and in developing countries. He shows that there is little evidence that GMOs have actually aided people in such contexts. Surprisingly, two of the most commonly cited arguments for (Golden Rice with its Vitamin A supplement) and against (the terminator gene that would result in non-viable seeds) GMOs are not even in use at all. Further, in much of the developing world, GM crops are planted in high-volume industrial-sized farms, which have been shown to have negative effects on small-scale farmers, but for other reasons than the use of GMOs. Stone's review shows that there remain more questions than answers when it comes to GMO technology, and he calls on anthropologists to increase their engagement with the controversy, to not only increase our understanding of GMOs, but also to better understand their impacts on human populations around the globe. In the end, no matter where you are or what your stance, GMOs are controversial and a matter of contention. Whether you trust the corporate and government support of such products, or are vehemently against them, the bottom line is that we don't really know much about GMOs and their effects on the environment or on people. Increased understanding should be a cause that we can all get behind so that we can all make more informed decisions about what products to put into our bodies and our environment, and what companies to support - or not. Knowledge and understanding are rights that we all share, and they represent reason enough to go out and march this Saturday. *Send an email to the author if you would like to view the article by Glen Davis Stone. Scary stuff. I can't believe Monsanto is banned in 60 countries. We're just too disconnected from our food supply here to have interest on a mass scale. Student Debt in the US: Is There an End in Sight?